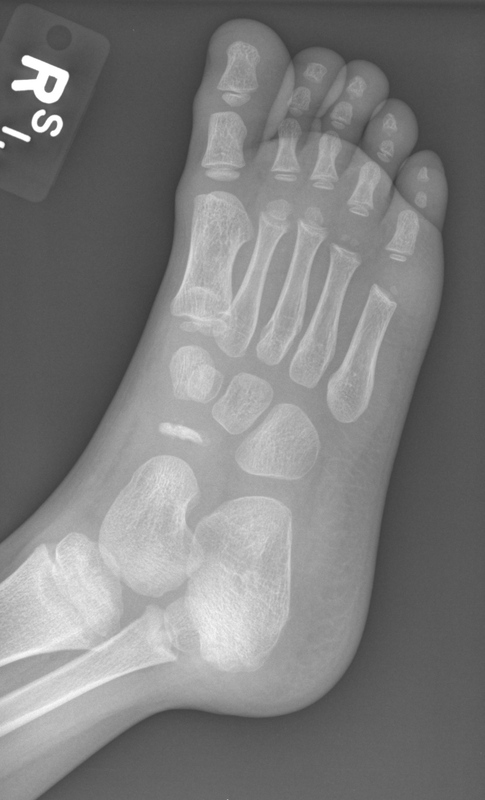 May be caused by minor or major trauma to the midfoot region. 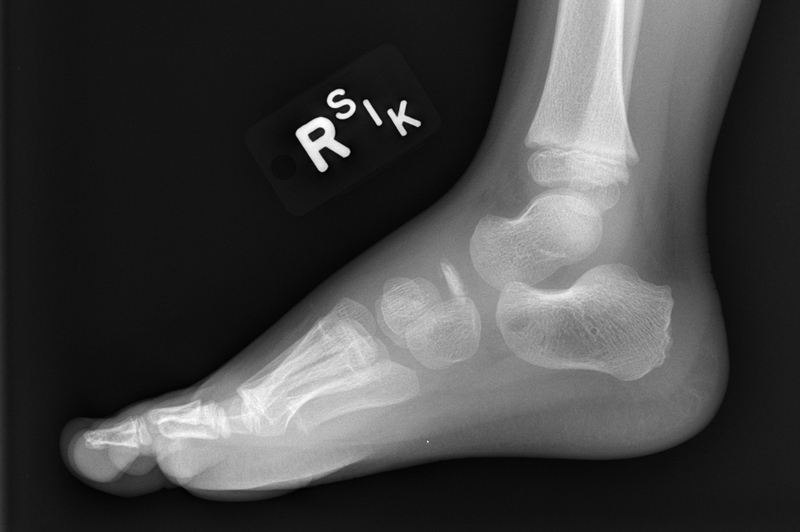 The following x-ray images depict the atrophic disease of the navicular bone in the middle of the foot viewed as a thin line of bone in the lateral view (top left), oblique view (top right) and dorsal-plantar view (bottom left). During the acute phase of this injury the child is best placed in a cast below the knee with the use of crutches. This will allow the area to rest and heal without any long-term problems.